Today we took ourselves on a bit of a driving expedition. 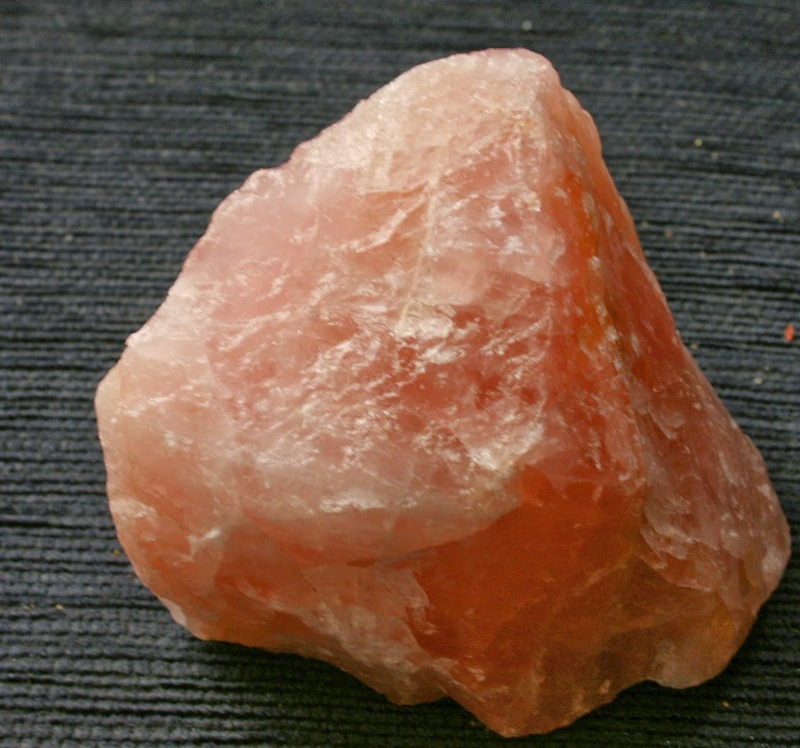 As we drove along, looking up to our right we could see a rock formation called "The Great Wall of China"
We headed north to a tiny little village called Blinman where I bought myself a nice size piece of Rose Quartz, cheaper than I would have bought it in Melbourne. Then we headed off down the Parachilna Gorge Road. We had been told it was a pretty rugged road with lots of rocks, but as it turned out I think the grader had not long previously graded to track. A lot of our journey was crossing over the dry river beds. The scenery was nothing short of spectacular. Before we knew it we had arrived at our lunch destination – the Prairie Hotel in Parachilna. 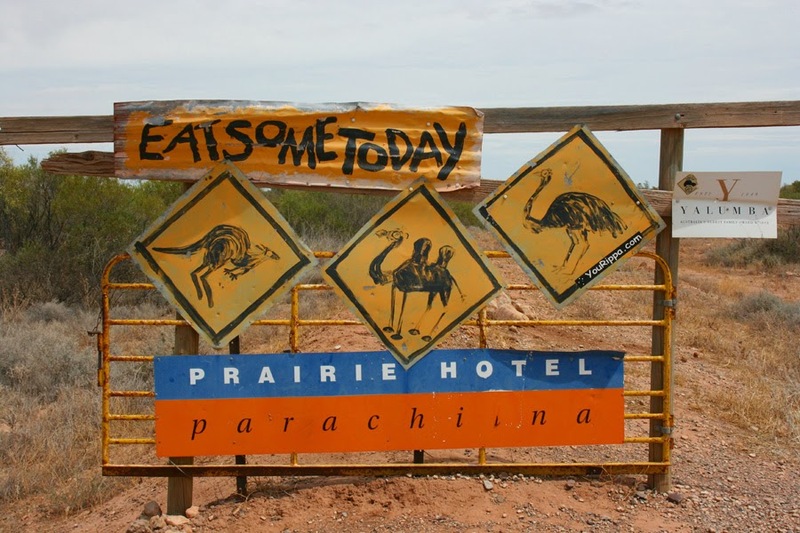 This pub is well known for its Aussie Menu that includes burgers and other meals consisting of Kangaroo, Camel and Emu. I’m not very adventurous when it come to my meals but Shane got an Emu Burger. I did have a taste of the meat patty and it really only tasted like a spicy meat patty, but it was a really dark meat. The Prairie Hotel soon lets you know what to expect to eat there. Yet another beautiful old country pub. 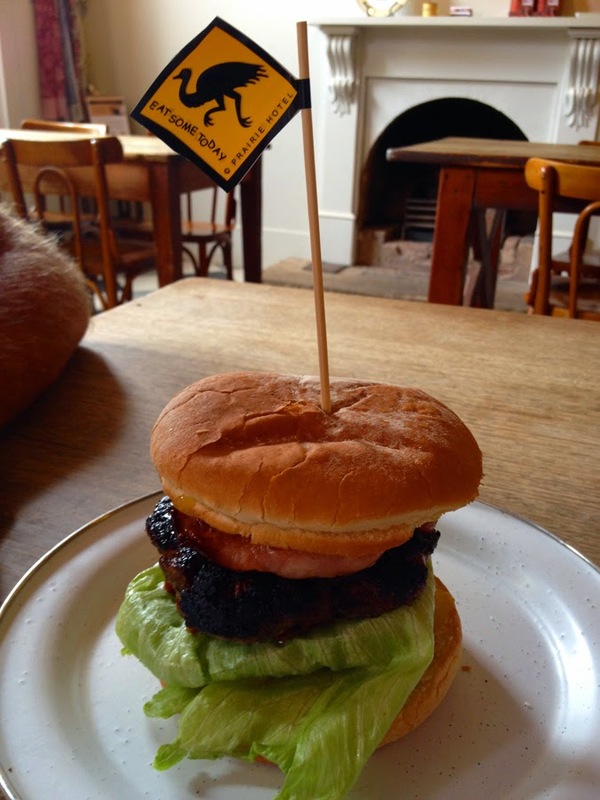 Shane had an Emu Burger, the meat was dark and had been spiced up. 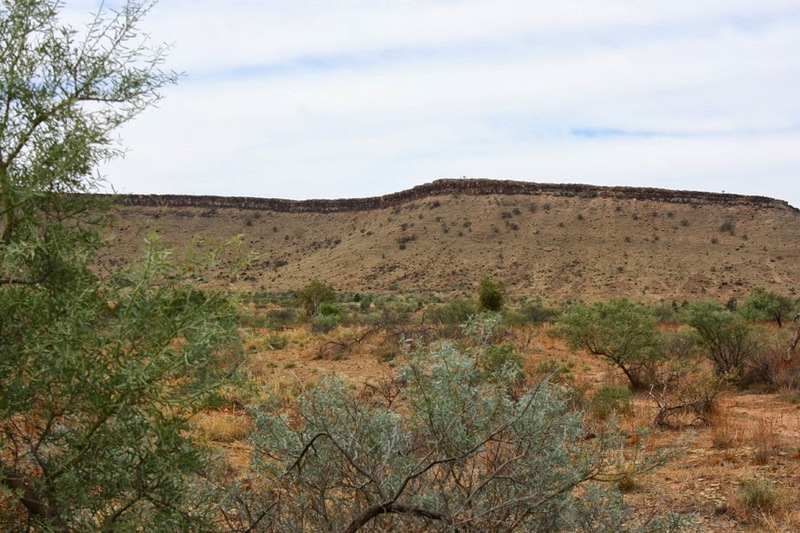 After lunch we headed back to Blinman, but this time along the Glass Gorge. This gorge wasn’t as pretty as the Parachilna Gorge but still interesting. It was a bit more rugged but once again we were lucky enough to have had it graded. 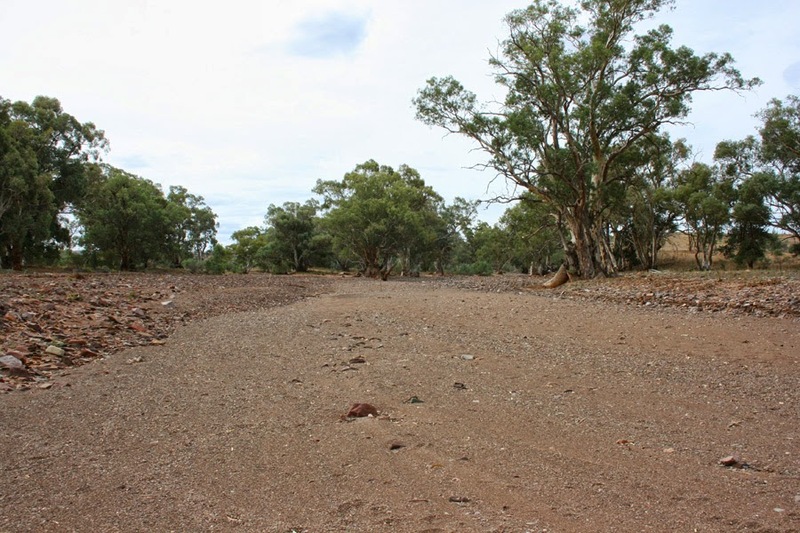 It is quite strange driving over so many wide dry river beds. I don't we would be driving across this river if it actually had water in it!